The Good Grief Glass from Jack Spade are the perfect drinking buddy. 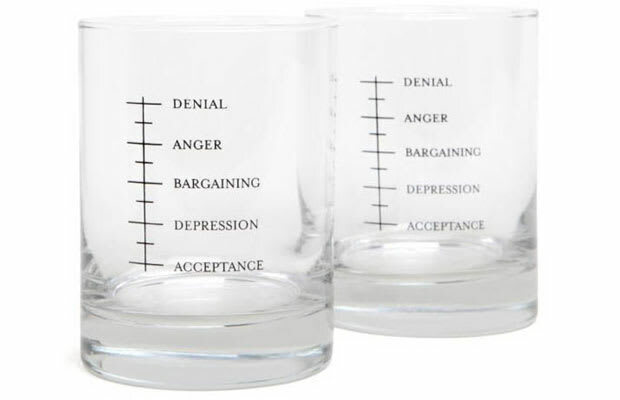 Through five stages, these tumblers share your feelings —from fierce rejection to ultimate acceptence— and happily house whatever liquid is required to sooth post work tensions. They cost $38 for two glasses.